MTV (formerly an initialism of Music Television) is an American basic cable and satellite television channel which is a part of the "Viacom Music and Entertainment Group" unit of the Viacom Media Networks division of Viacom, which it is a subsidiary of. The channel itself is headquartered in New York City, and is a subsidiary of Viacom Inc. Launched on August 1, 1981 the original purpose of the channel was to play music videos guided by television personalities known as "video jockeys," or VJs. The network´s current target audience is teenagers and young adults, with programming consisting mainly of original reality, comedy and drama programming and some off-network syndicated programs and films, along with limited music video programming in off-peak time periods. In its early years, MTV´s main target demographic were young adults, but today, MTV´s programming is primarily targeted at teenagers and college-aged students. 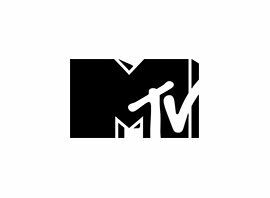 MTV has spawned numerous sister channels in the U.S. and affiliated channels internationally, some of which have gone independent. MTV´s influence on its audience, including issues related to censorship and social activism, has been a subject of debate for years. As of February 2015, approximately 93,240,000 American households (80.1% of households with television) received MTV.